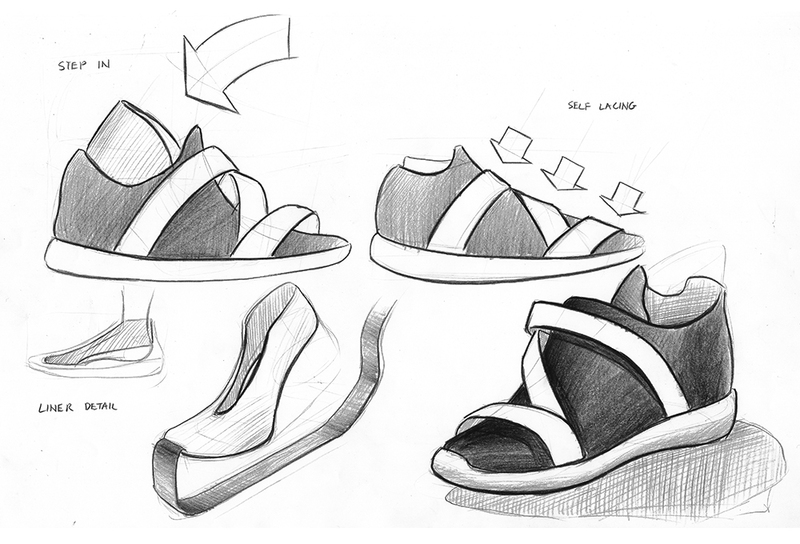 This week was one of my first forays (and hopefully not my last) forays into shoe design. 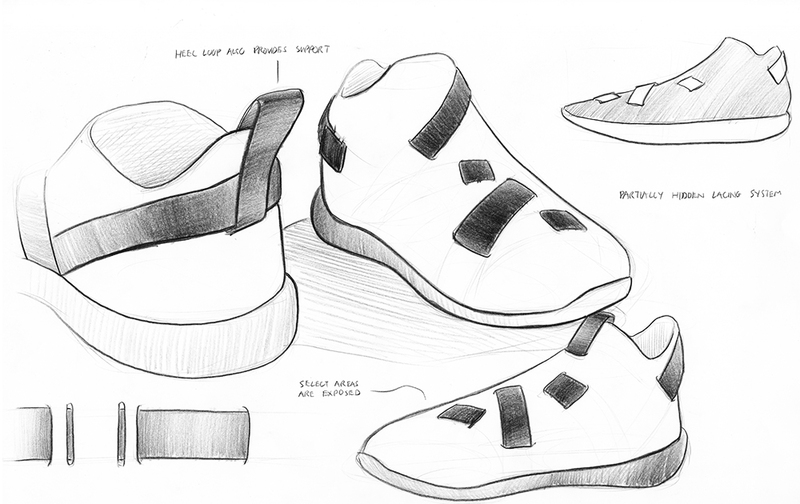 Inspired by straps found in many high fashion sneakers, I wanted to a create a manual self lacing system as opposed to Nike's HyperAdapt. I got through half of this page before I realized all of these designs existed already. Gladiator sandles beat me to it almost 2000 years ago. Auto lacing was a bit unrealistic so my first steps were to figure out single strap lacing. 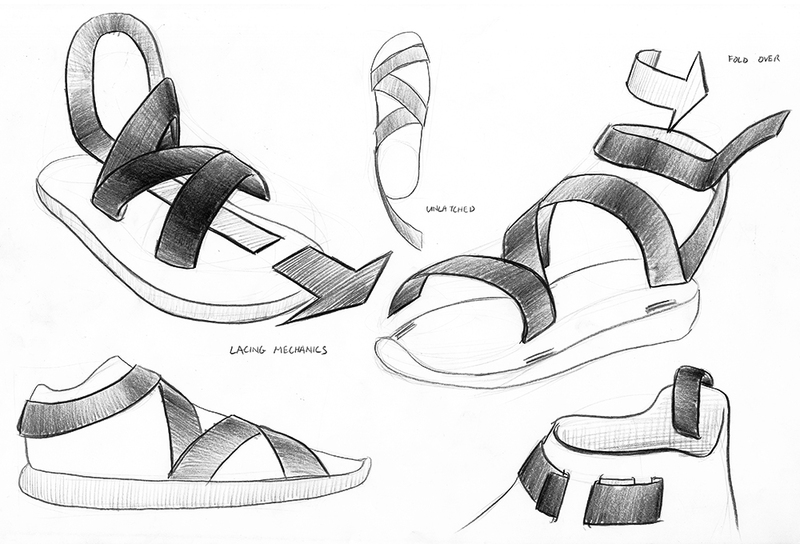 Here, these shoes can be tightened just by pulling on to a single strap that wraps around the heel. 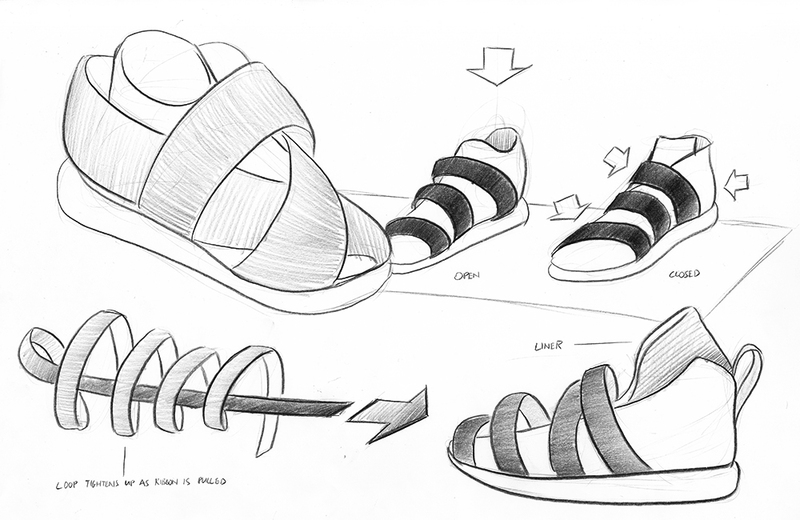 My idea for self lacing relies on an inner liner that pulls a single ribbon tight as you push your foot into the shoe.